Nothing to see here, just a haystack trundling along on the back of a reindeer-like creature! 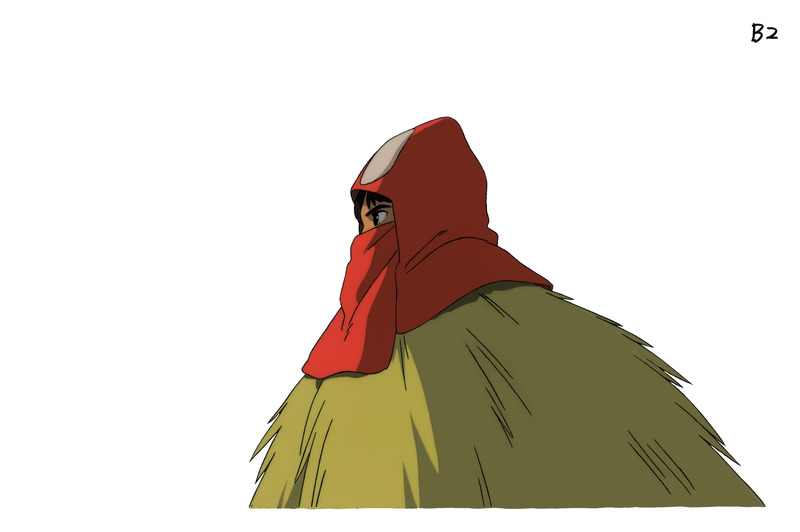 I love Ashitaka's mask-and-haystack look, it's just so odd. It's got to be itchy and uncomfortable, and it's certainly not anything you could call camouflage. In fact, it's incredibly conspicuous. If you saw Ashitaka like this, you'd immediately think, "Wow, what a suspicious guy!" Still, he makes it work somehow. I guess some people have it and some don't. 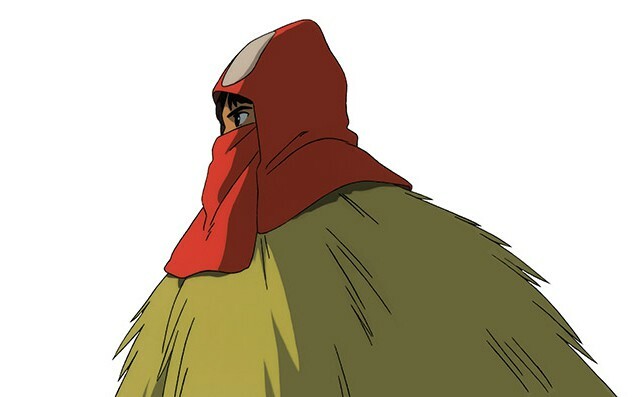 I've noticed that Hayao Miyazaki is very partial to the shade of red on Ashitaka's hat. It recurs again and again in his films -- look for it in Spirited Away among others.